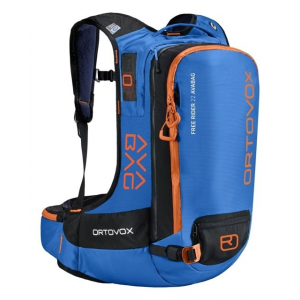 The Flight 00 Jetforce kit is an avalanche airbag kit meant for back country skiing, heli skiing, cat trips, or other extreme skiing excursions. 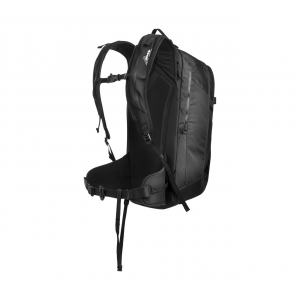 It features high functionality in a minimally designed pack. 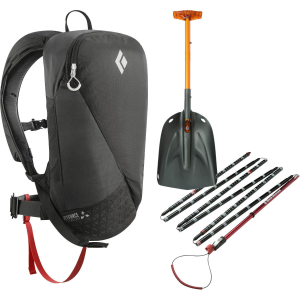 Equip yourself with Black Diamond's Flight 00 Jetforce Kit before you devour the tastiest turns on the mountain. 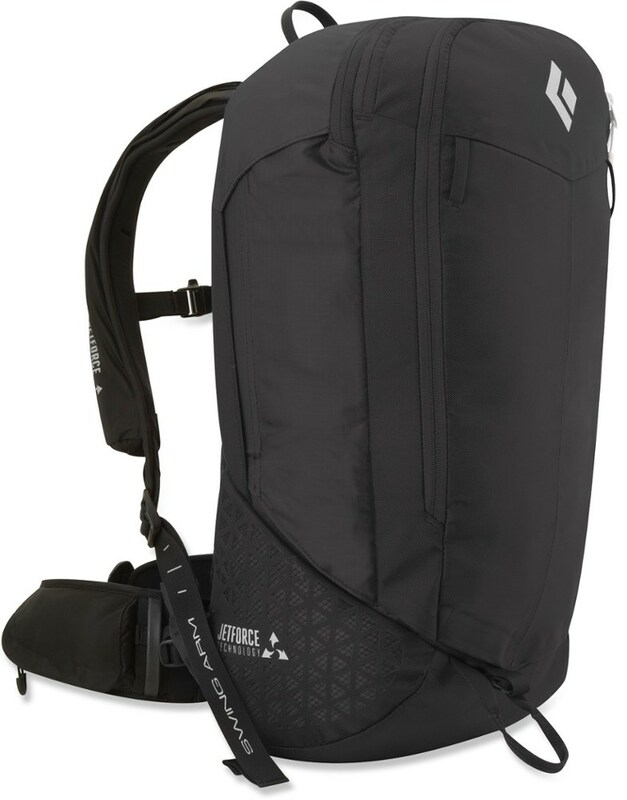 Designed specifically for quick dawn patrols, cat skiing, and heli skiing, the Flight 00 Backpack features Black Diamond's revolutionary JetForce airbag--it's a revolution in that it uses a battery-powered fan for reliable inflation that eliminates the cost of expensive canisters and refills, and it offers at least four deployments on a single charge. 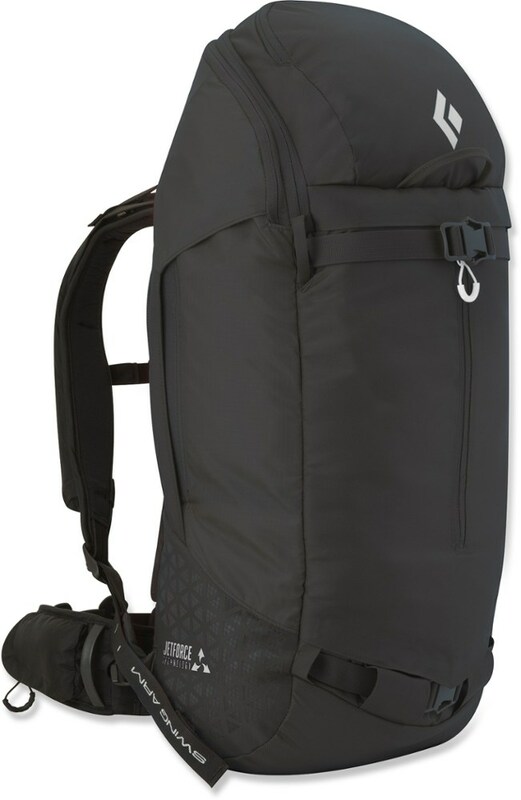 The pack also features padding at the back panel and adjustable shoulder straps for a comfy ride and a single compartment with Black Diamond's Deploy 3 Shovel and Quickdraw Tour Probe 240 already inside. 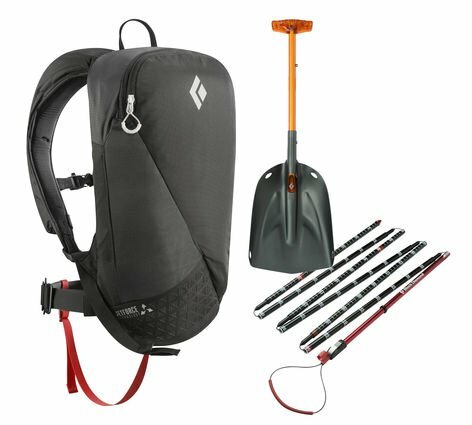 The Deploy 3 Shovel has a trapezoidal shaft that nests inside the blade for go-to emergency response and compact, minimalist storage. The Quickdraw Tour Probe 240 is ideal for shallow snowpacks, lightweight tours, and the avalanche rescue practice that you better be doing before the big trip. 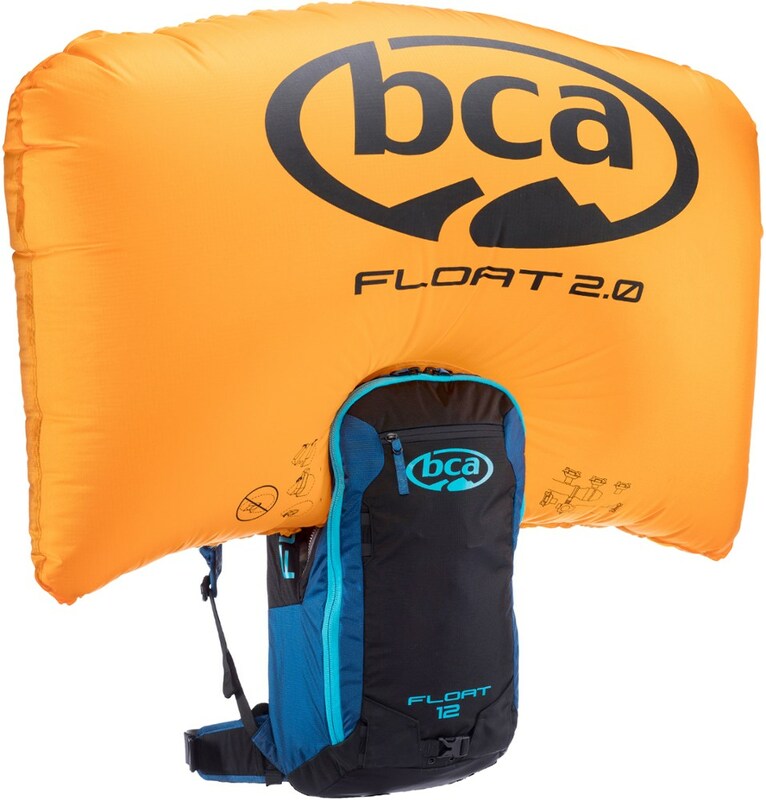 Black Diamond Avalanche Safety Flight 00 Jetforce Kit BD681305BLAKALL1.